There is so much variation between gyms, I am wondering how the official BJJ graduation works? 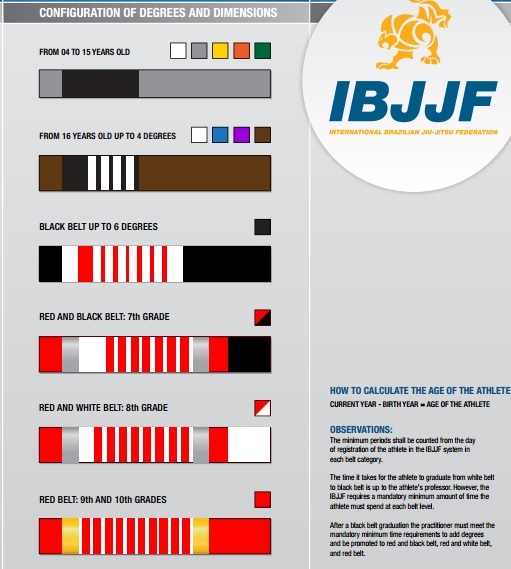 The International Brazilian Jiu-Jitsu Federation (IBJJF) sets out minimum requirements to graduate through the belt system. Each Professor within individual gyms, has discretion whether or not to promote a student, but they cannot fast track promotion, only extend it. My oldest son is a purple belt aged 19, my younger two. aged 13 and 12, are grey and white belts. When my younger two turn 16 they will,likely, receive blue belts in the gym they go to, based in years of experience. 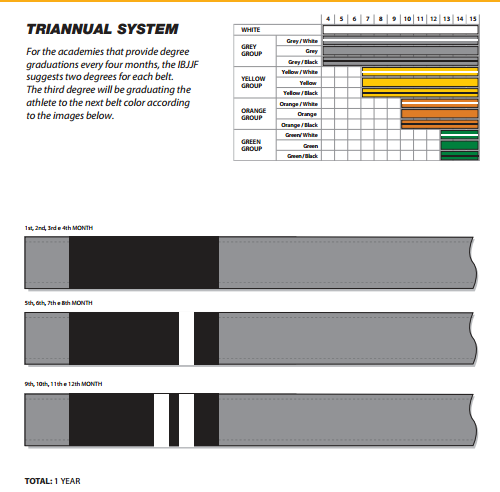 There is also the option of grading childrens' belts monthly, tri-annually or quarterly. My oldest son started at 15 and was still a white belt when he turned 16 and it was just a matter of getting his stripes before graduating to a blue belt. In some other gyms they will only give belt promotions if the person passes gradings. So there is not automatic graduation. 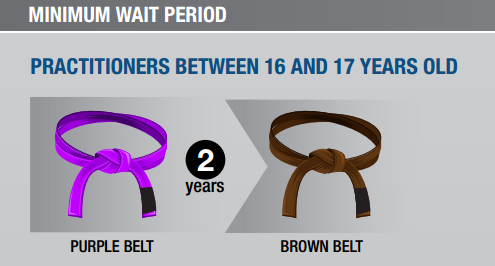 In other gyms, children who have been training long enough will graduate to purple belts at the age of 16. All these factors depend upon the training and skill of the 16 year old. All these conditions are at the discretion of the Professor of the gym. 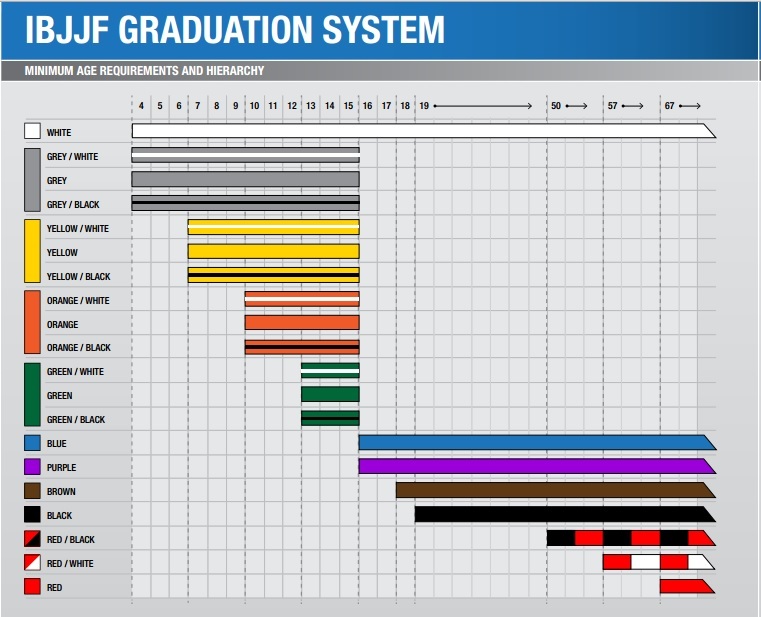 There are minimum standards set out bu the IBJJF, but no upper limits in length of time taken between graduations. 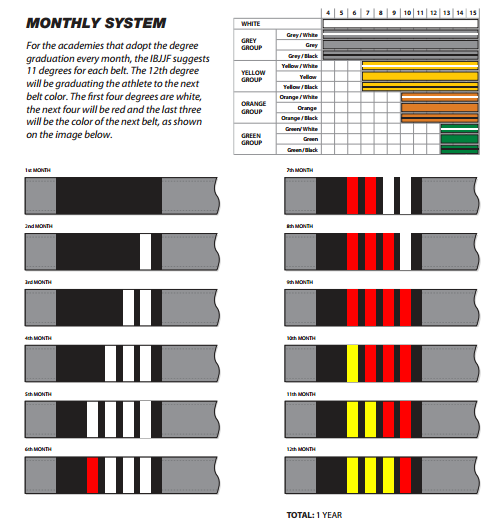 Graduation through the black belt system to the red belt, takes decades. How many people know BJJ and/or MMA in America? 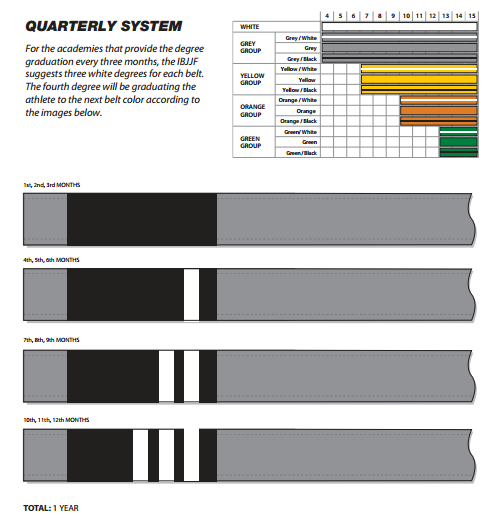 How did the belt system color develop? How should a BJJ practitioner run? How many days per week shoud I train BJJ? Sumi Gaeshi or Obi Tori Gaeshi? How does BJJ differ from classic jujutsu?